POP-tarts ~ Toaster Pastries �Many Varieties! WILTON Premium FEATHERWEIGHT 16" DECORATING BAG - New! NEW: 1 (ONE) BOX OF HOSTESS USA TWINKIES 10 COUNT. Halal Leaf Gelatine. How to use halal leaf gelatine?. One sachet contains 12 small sheets (20g of gelatine). Leave to soak until the gelatine blooms(expands) and goes wrinkly, this takes normally about 5 – 6 minutes depending on the quantity. NEW: HOSTESS BANANA TWINKIES 10 COUNT. Pop-Tarts Frosted S'mores toaster pastries are a delicious treat to look forward to! YOU GET : ONE BOX (16 CT). ITEM MUST BE UN-USED. 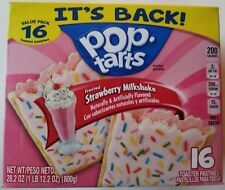 NEW: 1 (ONE) BOX OF POP TARTS FROSTED STRAWBERRY MILKSHAKE FLAVOR 16 COUNT. 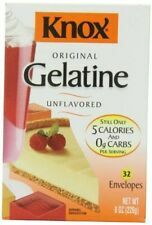 Vegetable Analogue of Gelatine. KOTANYI Agar-Agar - high quality natural seaweed gelatine. Agar-Agar is a plant alternative to gelatin of animal origin. Mix the contents of the bag with 400 ml of liquid, boil for 2 minutes. Recipe only " ~. 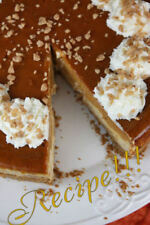 The recipe is in English only ! In baking, follow instructions. In cooking, trust your taste. - Leiku Barres. If you are not satisfied. Simple ingredients. Halal Leaf Gelatine. How to use halal leaf gelatine?. These leaves are halal certified. Leave to soak until the gelatine blooms(expands) and goes wrinkly, this takes normally about 5 – 6 minutes depending on the quantity. The perfect egg white substitute, Meringue Power comes in handy for a variety of baking and decorating recipes. Use it to make the picture perfect meringue cookies without the worry of getting a drop of liquid into your recipe—which can make meringues fall flat. Make your own homemade royal icing following the recipe listed on the back. Net weight: 4 ounces (113 grams). Purple yam is used in a variety of desserts, as well as a flavor for ice cream, milk, Swiss rolls, tarts, cookies, cupcakes, cakes and other types of pastries. This purple yam is dehydrated powder that you can use for your favorite recipes. The purple yam is also a nutritional powerhouse, rich in vitamins A, B6, and C. It is also a source of potassium that helps keep blood pressure in control. The purple pigment of the ube not only adds to its magnificent coloration, but also acts as an antioxidant, which helps in slowing down the ageing of cells. NEW: KELLOG'S POP TARTS FROSTED CHERRY FLAVOR 16 COUNT. 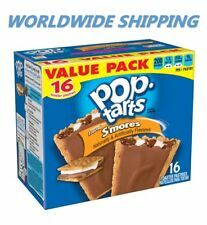 NEW: 1 (ONE) BOX OF KELLOGG'S POP TARTS TOASTER PASTRIES FROSTED CRISP APPLE FLAVOR 16 COUNT. NEW: 1 (ONE) BOX OF KELLOG'S POP TARTS SPLITZ 16 COUNT. ON ONE SIDE DRIZZLED SUGAR COOKIE AND ON THE OTHER FROSTED BROWNIE BATTER! 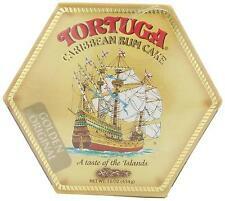 Tortuga Caribbean Rum Cake 4 oz. Tortuga Caribbean Rum Cakes baked freshly daily in the Cayman Islands. 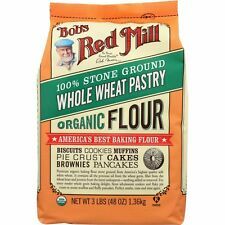 We use only the finest ingredients in our famous rum cakes. Jamaican Cake - Pineapple Flavor. Baked in the Caribbean from a four-generations old family recipe. Or any other flavor or Hostess product. 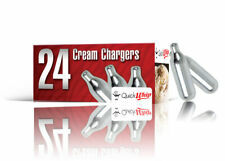 I have lots of flavors & Hostess products, including most current Limited Edition flavors. 8 cup cakes each individually wrapped. Strawberry cake with creamy filling. 10 Sheets of Halal Leaf Gelatine. How to use halal leaf gelatine?. These leaves are halal certified. Leave to soak until the gelatine blooms(expands) and goes wrinkly, this takes normally about 5 – 6 minutes depending on the quantity. REAL BROWNIE 80g REAL CHOCO CRACKER 96g REAL CHEESE CHIP 60g Set. - Quantity: REAL BROWNIE 80g 1Box REAL CHOCO CRACKER 96g 1Box REAL CHEESE CHIP 60g 1Box. REAL CHOCO CRACKER. REAL BROWNIE. Korean Delicious Snack, ORION Market O Series. Pudding powder with Strawberries flavor for 1/2 l (500 ml) milk - They are obtained approx. 4 portions of pudding. Pour hot pudding in pancakes with cold water and let cool. Close the contents of an envelope with 2-3 tablespoons of sugar and 4 tablespoons of milk. Pop-Tarts Frosted Cinnamon Roll toaster pastries are a delicious treat to look forward to! DO NOT OPEN A CASE I RESOLVE ISSUES BETTER. I CANT FIX IT IF I DON'T KNOW ABOUT IT! YOU GET : ONE BOX (16 CT). Sunkist Growers Inc.. Dry Roasted & Salted. Natural & Unbleached. Keep in Cool and dry place. Sherman Oaks California 91423, USA. All right reserved. TURKISH DELIGHT“Lokum”, the Turkish Delight, is a masterpiece of Hacı Bekir Effendi, introduced first to the Ottoman Palace and then to world cuisines along with hard candies and almond paste. It is new in box.